In the morning an Austrian bombardment commences along the entire Italian front from the Adriatic to the Asiago Plateau Italy which is followed shortly afterwards by an infantry attack. In the British sector mountainous fog and low clouds help the attackers. South west of Asiago Second Lieutenant John Scott Youll (Northumberland Fusiliers) is commanding a patrol which comes under heavy enemy fire. Sending his men back to safety he remains to watch the situation and then, unable to rejoin his company, he reports to a neighbouring unit where he takes command of a party of men from different units, holding his position against enemy attack until a machine-gun opens fire behind him. He rushes and captures the gun, killing most of the team and opens fire, inflicting heavy casualties. He then carries out three separate counter-attacks, driving the enemy back each time. For his actions he will be awarded the Victoria Cross. He was killed in action during the battle of Vittorio Veneto, Italy on 27th October 1918. 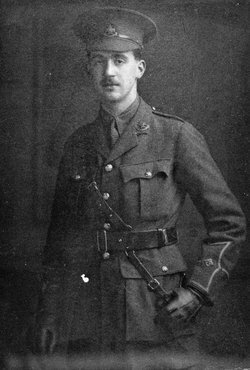 Captain Edward Harold Brittain (Sherwood Foresters) the brother of the author Vera Brittain is killed in action in Italy. He is 22 years old. Captain Eric William Lafone MC (Durham Light Infantry) is killed in action in Italy at age 22. He is the son of The Venerable Archdeacon H P M Lafone Vicar of Kendal. Second Lieutenant Cyril Thomas Lovell (Machine Gun Corps attached Royal Air Force) is accidentally killed at age 22. He is the only son of Samuel Lovell JP. Second Lieutenant Maurice Stevenson Stuart (Black Watch) is killed at age 20. He is the son of the Reverend W Stevenson Stuart. Second Lieutenant Ernest Tilton Sumpter Kelly (Royal Air Force) a 6-victory ace is killed at age 19. Corporal Ernest Harbour (Australian Infantry) is killed at age 31. His brother was killed on Gallipoli in August 1915 while a cousin was killed in September 1916. Lance Corporal Allen Richard Hart (Worcestershire Regiment) is killed in Italy at age 22. His two brothers have been killed previously in the Great War. Private Hubert Clendon Pugh (Worcestershire Regiment) is killed in Italy. His brother died on pneumonia on service in March 1917. Private A George Stevens (Bedfordshire Regiment) is killed at age 43. His brother was killed last October. Private Frederick James Titchmarsh (Suffolk Regiment) is killed at age 23. His brother died at home in March 1917. Private William Woonton (Dorsetshire Regiment) is killed at age 19. His brother was killed in August 1917. Gunner Hugh Armitage Salmon (Australian Field Artillery) is killed at age 26. He is one of five brothers who served three of whom fell. Gunner Walter Ware (Royal Garrison Artillery) is killed in action at age 36. He is one of four brothers, all of whom fell in the Great War.